Pool Parties will Never be the Same Again! and Great Sounding Portable Music! Las Vegas, May 1, 2015 – Monster™, the world leader in high-performance personal audio, is proud to announce the maiden voyage of its breakthrough SuperStar™ BackFloat™ (MSRP: $169) high-performance portable speaker that floats and plays on the water. Hot on the heels of the hugely popular Monster SuperStar, the company is now bringing its ahead-of-the-curve audio expertise and lifestyle innovation to the pool party crowd with an exclusive launch party this Friday, May 1st from 1pm – 6pm at the Liquid Pool @ Aria Hotel located in Las Vegas, Nevada. 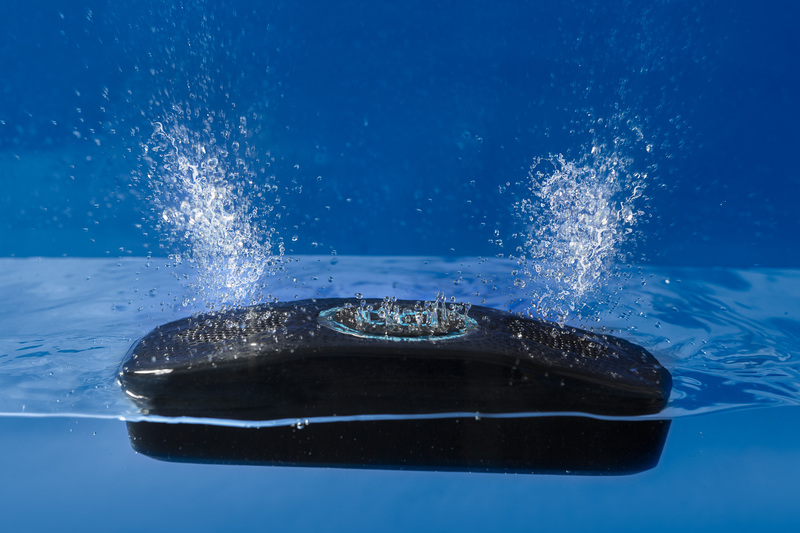 Not only does the rugged SuperStar BackFloat deliver incredible sound and features, it’s also waterproof and is bringing wet, wireless fun. No matter what active lifestyle you lead, the durable silicone shock proof shell is designed for all weather outdoor use – beach, pool, shower, surfing, kayaking, outdoors or around the house – SuperStar BackFloat delivers great sounding music, with acclaimed Pure Monster Sound™. The Monster SuperStar BackFloat speaker is available now in either Neon Blue or Neon Green and comes with an acoustically transparent carrying case. The take-anywhere acoustic case allows you to listen to the speaker while it’s protected in the travel case without compromising superior wireless sound wherever you are. Monster’s high performance, built tough SuperStar BackFloat delivers best-in-class Bluetooth stereo sound, connects to any music device using a 3.5mm Aux line out, and is optimized for smartphones, tablets, notebooks and PC's. SuperStar™ BackFloat™ features built-in mics that also offer speakerphone for crystal clear conference calls. For the past 35 years, Monster has been a catalyst for innovation and big ideas. Discovering that cables in hi-fi systems influenced the sound, Head Monster Noel Lee developed Monster Cable® - an immediate hit. Monster engineered the sound of Beats® headphones, and has since become the world’s leading manufacturer of high-performance headphones, all featuring Pure Monster Sound™ technology. Today, the company offers advanced connectivity solutions for professional musicians, home entertainment, computing, mobile and gaming, as well as high performance AC Power and conditioning products. Monster continues to lead in innovation having been granted over 500 patents and 100 patents pending worldwide, offering more than 5,000 products in over 160 countries. Monster also prides itself in helping those who are in less-than-fortunate circumstances through Monster Cares®. Above all, Monster does what it does Because The Music Matters. Explore the world of Monster at www.monsterproducts.com. To become a fan of Monster® products, please follow us on Facebook (www.facebook.com/monsterproducts) or Twitter (www.twitter.com/monsterproducts). Follow the Monster® SuperStar™ on social media via #MonsterBackFloat.